Above: The city-owned J. Van Story Branch Apartment building on W. 20th St. appears blue, because of the construction material exposed during renovation. Baltimore housing officials are negotiating to sell most of the city’s public housing high-rise buildings to private developers who will renovate and manage them under a new model. The plan will impact thousands of the nearly 20,000 residents who live in the two-dozen mixed population and senior multi-story buildings operated by the Housing Authority of Baltimore City (HABC) – and will result in millions in low-income tax credits for the developers, sources close to the negotiations said this week. The change will also usher in a new era of public housing in Baltimore. 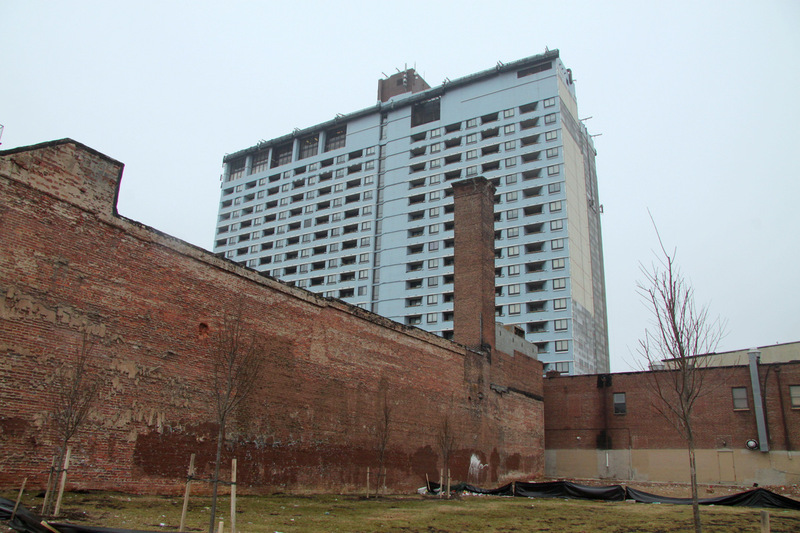 Many of the most troubled high-rise developments such as Flag House Courts, Murphy Homes and Lexington Terrace were demolished in the 1990s amid severe neglect, blight, drug dealing and violent crime. Under this latest plan for the city’s remaining high-rises, residents who live in the buildings being converted will be eligible to receive Section 8 housing vouchers two years after the developments are privatized. That will enable them to move out of the high-rises and into new subsidized housing units in Baltimore, or anywhere in the U.S. In addition, the move will likely result in the layoff of up to 200 local Baltimore housing authority employees who now work in the public housing maintenance and renovation units, sources said. Private Solution for $26 Billion Repair Backlog? 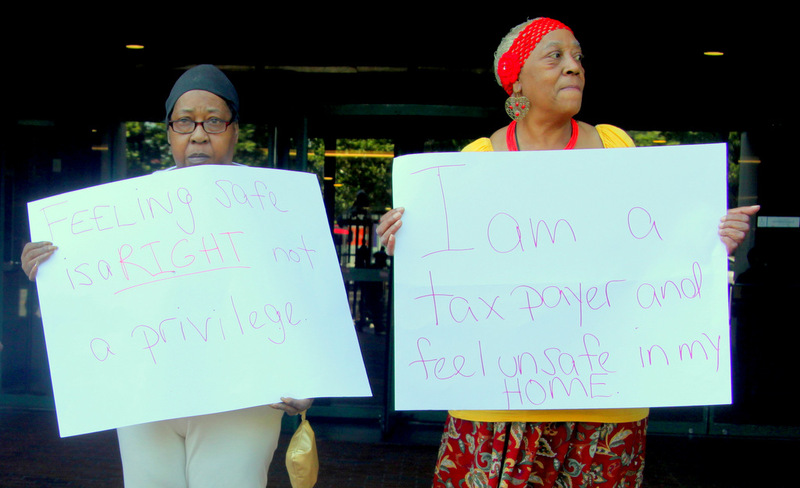 City housing officials confirmed to The Brew in recent weeks that Baltimore has been moving toward privatization via an Obama Administration initiative called the Rental Assistance Demonstration Program (RAD), but they declined to answer specific questions about the plan. Top officials of the U.S. Department of Housing and Urban Development (HUD) in Baltimore also declined to comment. Approved by Congress in 2011 and rolled out last year, RAD is designed to address the estimated $26 billion backlog in capital funding that HUD says is needed to make major repairs to the nation’s aging public housing, which has become dilapidated as federal spending to maintain them has been slashed. The program allows public housing authorities to apply for funds to begin the process of selling public housing developments to private developers who, in turn, pledge to renovate and manage the buildings with federal low-income tax credit assistance and rental revenues. Supporters describe the program as a way to keep housing for the poor from falling into disrepair or being demolished. Critics fault it for exposing public housing to the risks associated with the private market, such as foreclosure, bankruptcy and default, and for destabilizing low-income communities. “In addition to opening funding and management opportunities to private sources, the RAD program emphasizes mobility, by giving vouchers to residents instead of doing more to keep them in stabilized housing,” wrote New-York-based housing activists Liz Ryan Murray and Agnes Rivera, in a Politico op-ed. Sources say, under the plan being prepared in Baltimore, HABC will remain a partner in the newly formed entities set to run the high-rises. But local housing advocates worry that, under this arrangement, city housing’s role as an advocate for tenants will dwindle away. “Our concerns are how the Housing Authority will carry out the regulations and act in a way that secures and endorses tenant rights,” said David A. Prater, a fair housing attorney at the Maryland Disability Law Center who is negotiation with HABC on the RAD conversions. Disabled tenants in the public housing high rises are the most vulnerable, he said, because there are so few low-income units available to them in Baltimore. Selling the high rises to private developers may result in upgrades to those units, he said, but other questions remain: Will the availability of units be reduced? And how will federal and local housing officials be able to monitor the stock? “Our concerns are, what will be the tenants rights in the process,” he said. Prater said he and other local housing advocates have been meeting with HABC Executive Director Paul T. Graziano, also the city’s housing commissioner, to discuss RAD. So far, he said, there are many unanswered questions. One development slated for sale and renovation by the private Landex Companies is the 11-story Bel-Park Tower that has 274 efficiency and one-bedroom units. 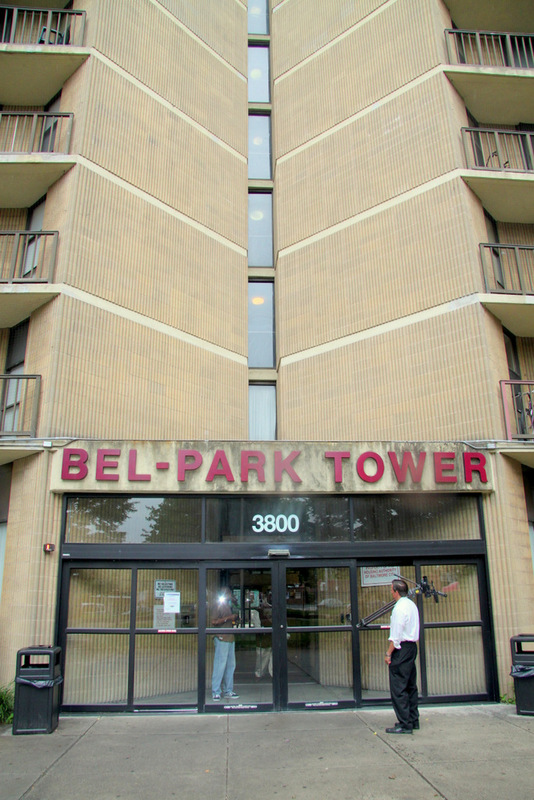 Located at 3800 Park Heights Ave. near Pimlico, the development is a former senior housing building that was converted to mixed population years ago. It has been in deteriorating condition for years, said Burnadette White, president of the resident council at Bel-Park who has lived in the development since 2005. She said residents have put in repair and maintenance requests to HABC that have gone ignored. 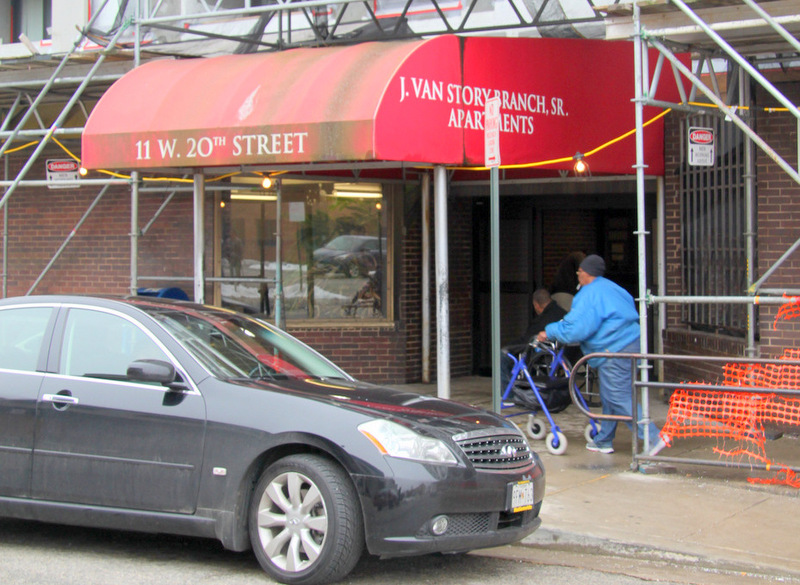 Last year, elderly tenants picketed outside Graziano’s office downtown to protest lack of security in the buildings, asking for guards or other measures to protect tenants from people who were entering the building, sleeping in hallways and threatening residents. 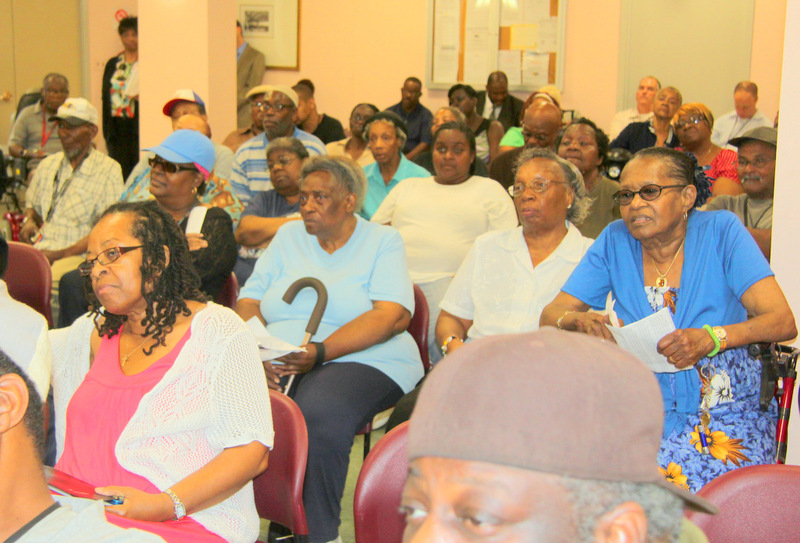 But White said, after she and other tenants met with housing officials about the RAD conversion, they are optimistic. “To most of the residents here, one of the main things causing people to stay is the [Section 8] vouchers. They are worth their weight in gold,” she said. Landex is expected to begin work in the spring, White said. Right now, the company is conducting radon and lead testing at the tower. State campaign records show that Landex, based in Linthicum, is a generous supporter of Democratic officials in Maryland. The developer contributed $5,500 to the 2011 campaign of Mayor Stephanie Rawlings-Blake through two entities, Landex Corp. and Landex Development LLC. It gave $500 to the mayor a year before the campaign. Landex wrote two checks, totaling $500, for City Council President Bernard C. “Jack” Young’s election in 2011. Other recipients of the company’s largess include Lt. Gov. Anthony G. Brown ($4,000), state Del. Samuel I. (Sandy) Rosenberg ($500), and state Sen. William C. (Bill) Ferguson IV ($200).